It would be wrong to fail to recognize the brutality of the Indian mutineers who rose up in 1857 – it was the Indians who started the killing, after all, and the victims on the British side numbered in the thousands. It would be equally wrong to fail to acknowledge what drove them to revolt, or how disproportionate in both scale and brutality the British response was. 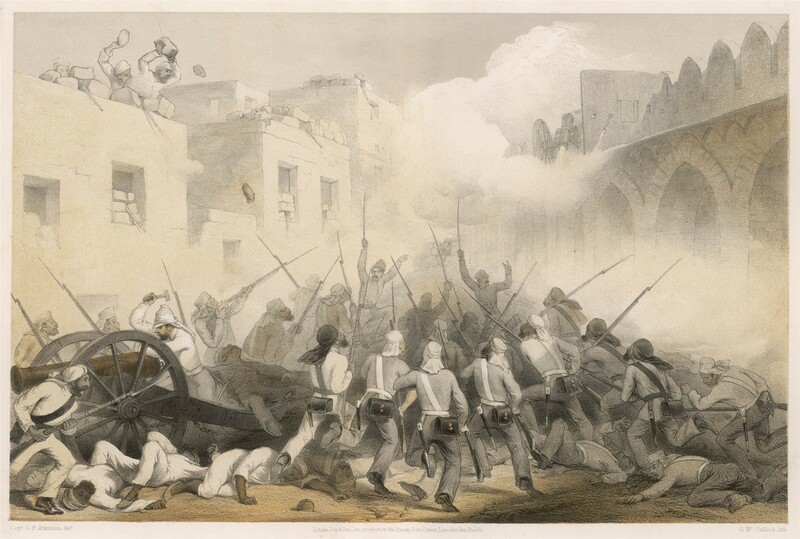 The rebellion kicked off in May 1857 over what might seem a trifle: the Brits had introduced to the Indian troops (sepoys, as they were called at the time) new breech-loading Enfield rifles, the paper-wrapped cartridges of which had to be bitten off at one end to prepare for firing. Those cartridges, according to a rumor spread among Indian soldiers, were lubricated with pig and cow lard – making oral contact with them anathema to both Muslims and Hindus. This minute detail, which was never even proven to be true, capped off a mountain of very real grievances between the British Raj and the Indian population. So, when soldiers in Meerut, Bengal refused to take the offending Enfield cartridges and were subsequently sentenced to long prison terms, then freed by their comrades, who shot their British officers and marched on Delhi – the entire thing quickly spiraled from a soldiers' mutiny into a popular rebellion. No response was deemed disproportionate – and an estimated 800,000 Indians died in the quelling and its aftermath. 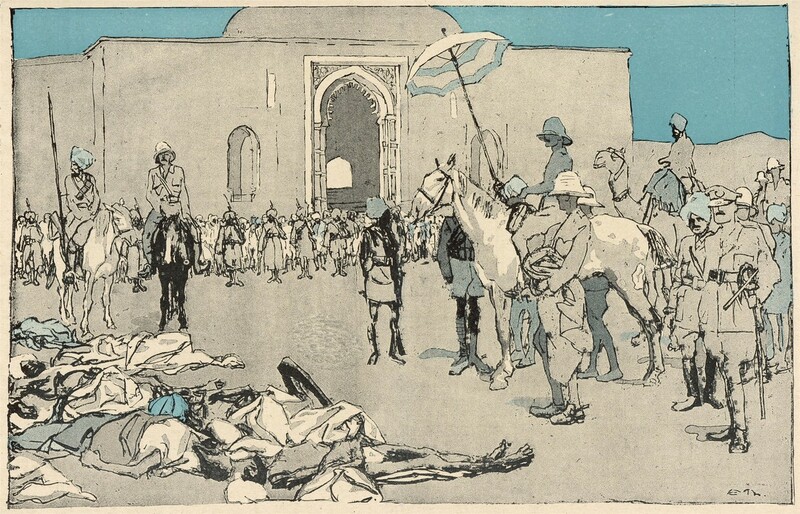 Brits perpetrated massacres as they recaptured Delhi and other cities. Sepoys were bayoneted, tortured, and tied to cannon muzzles to be shot point-blank. But illustrations of that are scarce among those depicting British soldiers as heroic liberators. After the rebellion, the rule over India was transferred from the EIC to the crown, under what is known as the British Raj – until the partitioning and independence of 1947. 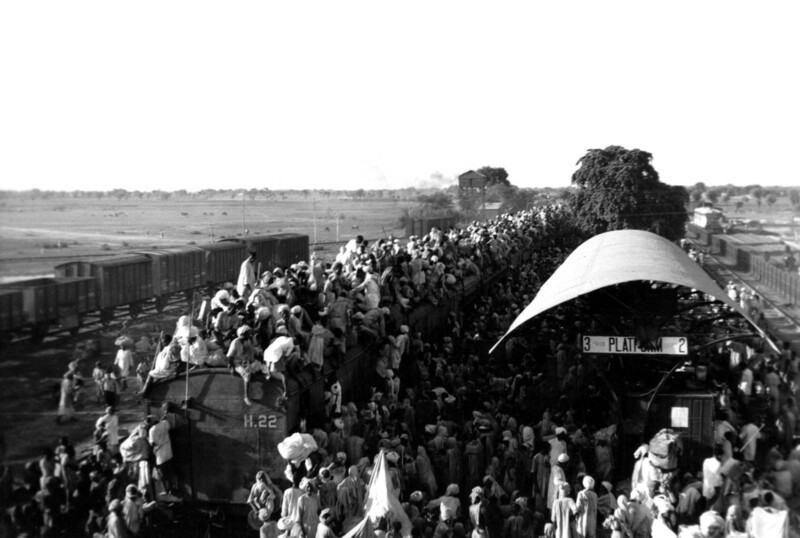 The same ruling that brought India independence also resulted in one of, if not the worst instances of mass migration in history, a division of enormous territories along religious lines and a scar on both the land and the collective consciousness of two peoples – as well as over a million deaths and thousands of stories of atrocities and hardship which could have been avoided with better planning on the part of the retreating Brits. The British government decided to cede power to Indian leadership in 1946, but the initial plan was to keep the country whole – merely designating grouped provinces as majority Muslim and majority Hindu, to accommodate the deepening split between the country's two major religious groups, represented by the two largest political parties – the Muslim League and the Indian National Congress. The British plan was then altered and accelerated – India would be split, Pakistan would be created, and independence would come several months earlier. 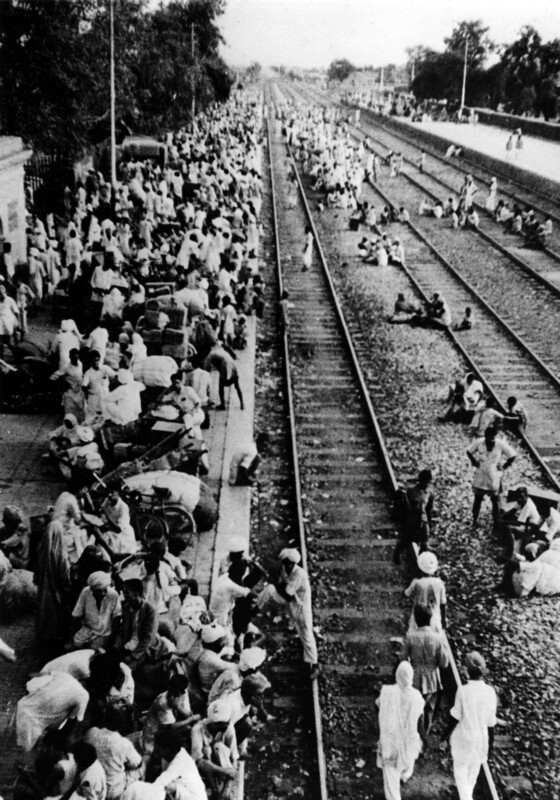 The sometimes-voiced trope that the fate of the partition was decided over a single lunch is a bit of an embellishment – but several weeks of planning hardly proved a better time frame.